The Ellen Pao lawsuit against Kleiner Perkins VC firm is juicy. They couldn’t have made up a script this good, even at the Lifetime TV network! 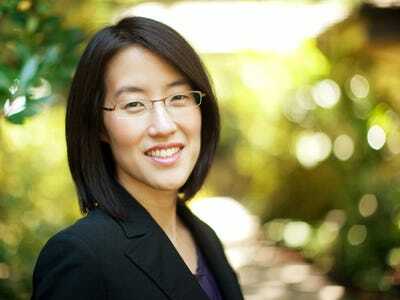 You have a top drawer Silicon Valley VC firm accused of discriminating against an Asian woman. Her gay husband is also suing the famous Dakota (where John Lennon lived) for refusing to let him buy his 5th apartment because he’s black. (The Board claimed he didn’t have the financial backing to support the purchase. Just last week his hedge fund filed for Chapter 11 bankruptcy.) The Indian VC partner she accuses of sexually harassing her has disappeared. Another aging VC partner she claims harassed her with a book full of suggestive phrases and pictures says his wife actually bought the book for him to give to Ellen Pao. Whatever way this shakes out, it’s going to get a lot of attention just because it’s such an interesting case.We don’t know now whether the claims are true or false. Whether, as she says, she tried to talk to the higher-ups and they dismissed her claims. But, no matter how the courts rule, publicity like this isn’t good, for either party. In an Alpha environment like the VC or media world, you often see diversity and harassment trainings sneered at or tolerated at best. They can seem stiff and too “correct”. But, just having the conversation and sensitizing folks sends a message that bad behavior won’t be tolerated. Or, at the least, you’ll know bad behavior and what to do about it when you see it. This entry was posted in HR, IN, management, training and tagged alpha comapnies, bad reputation, diversity video training, ellen pao, Kleiner Perkins, sensitivity video trainings, sexual harassment. Bookmark the permalink.